Personality: Shiro is a warm but relatively quiet individual. He is on a personal quest to better himself and has a lot of personal pride in his abilities, but looks to improve those abilities any way he can. 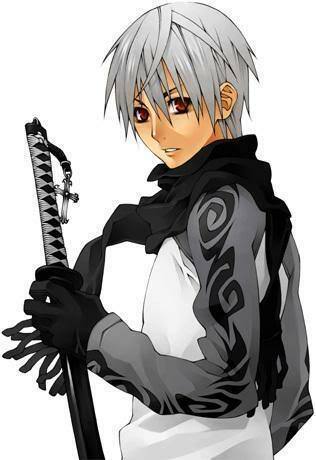 Fighting Style: Uses fast single cuts with his Katana up close and variety of Ice techniques to barrage or off balance his opponent at range with several support techniques to transition between the two attack types. Shiro comes from a large family of Yuki warlords, they are a very tight knit group, to them village and family is everything. It was simply because Shiro didn't care, his family wasn't proud of him but they still loved him. It was only when he was sent to find his younger brother who was late for dinner that he encountered a large white bear. The bear had cornered his kid brother and was going for the kill when Shiro intervened. It was a protracted battle without his ninja tools Shiro couldn't strike a decisive blow against the bear. The fight however allowed Shiro's little brother Haru to escape. Exhausted, injured and depleted of Chakra, Shiro was saved from a terrible fate by Hideki, his father, who scared away the bear with a powerful ice technique. It was during his recuperation that Shiro took a personal pledge to become stronger.